In collaboration with the Vision X engineering team, the Imtra Offshore Series Marine LED Deck Lights are specifically designed with the extra protections required to survive life on the open ocean. Each model is available in several beam angle configurations and we also offer elliptical beam options for side deck applications. The Offshore Series is made up of 4 different LED models (5, 9, 12 and 20-LED) for a variety of LED solutions to meet your needs. This marinized version of the legendary Vision X Pitmaster is the ideal solution for all forms of maritime and shipboard operations. From commercial freight ships to fishing vessels, or large recreational watercraft, the Pitmaster range is designed to exceed all expectations. Each model is available in three beam angle configurations (40°,60°, and 90°). 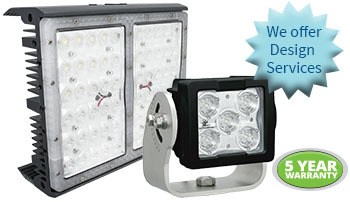 The Pitmaster Series consists of 2 different models (30 and 60-LED) for a variety of LED solutions to meet your needs.